In the second half of the 19th century feathered hats were all the rage. This passion for plumage resulted in the slaughter of millions of birds for use in the millinery trade. Beginning in the 1890s, groups of women banded together and formed Audubon Societies to protest the senseless killing of egrets and other birds. Their protests were highly successful and feathers quickly went out of style. 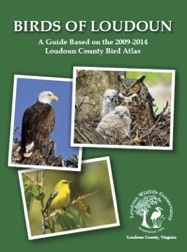 Many of the organizations they created continue to protect birds today. At the same time that women were enjoying their feathered hats, men had found another use for exotic feathers: creating salmon flies. Unlike trout, which will only hit artificial flies that resemble the insects they are eating at the time, salmon are not eating at all when they come upriver to spawn, and instead will attack any lure that appears to be a threat to their eggs. In Victorian England it became fashionable for men to use all sorts of exotic brightly-colored tropical bird feathers to tie beautiful salmon flies. The federal government eventually became concerned about the killing of birds for their feathers, and largely put an end to the feather trade in America. 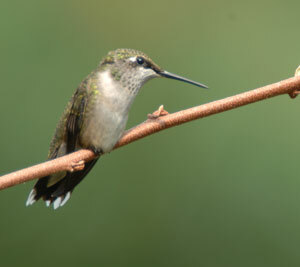 The Lacey Act was passed in 1900, making wildlife smuggling a crime; the Migratory Bird Treaty Act of 1918 protected all of the native birds of North America; and the U.S. later joined the Convention on International Trade of Endangered Species (CITES), which expanded the protection of threatened international species. Unfortunately, some men did not get the message. The Feather Thief by Kirk Wallace Johnson is an engrossing true-crime exploration of the culture of enthusiasts trying to maintain the salmon fly-tying tradition, and one man who took this obsession too far. The Natural History Museum in Tring, England, an annex to the British Museum, contains one of the great collections of world birds, including more than 750,000 bird skins. These specimens include Charles Darwin’s Galapagos finches and the tropical birds collected by Darwin’s contemporary Alfred Russell Wallace in several trips to the Malay Peninsula. This collection was too tempting for Edwin Rist, an up-and-coming classical flutist and world-class salmon fly-tier from upstate New York. In England studying the flute in 2009, Rist plans and executes the feather-heist of the century, breaking into the Tring and stealing 299 exotic bird skins, many collected by Wallace, then selling individual feathers, pieces of carcasses and some whole birds. Despite his efforts to conceal that he was the source of all these feathers coming on to the market, Rist is identified, charged and convicted of the theft. Without revealing too much, his sentencing is a travesty owing to some clever lawyering and the failure of the English judicial system to take seriously the theft of 100-year-old bird carcasses. The Feather Thief is equally a story of Kirk Wallace Johnson’s obsession. Recovering from injuries incurred during a stint as a civilian worker in Afghanistan, he learns of the theft while salmon fishing in New Mexico, and soon decides to infiltrate the world of salmon fly-tying and solve some of the lingering mysteries. He interviews fly-tying hobbyists, museum and law enforcement officials, possible co-conspirators, and finally Rist himself. The greatest mystery is that even after Rist’s conviction, only a small fraction of the stolen birds have been sold or recovered. Armed with a list of the stolen specimens, Johnson sets out to recover the large trove of missing feathers. 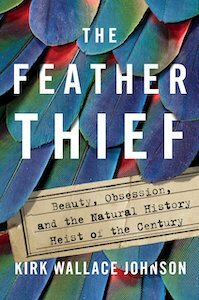 The Feather Thief is several books at once: a history of the search for evidence of evolution by Charles Darwin and Alfred Russell Wallace, the story of the Tring Museum, an account of the hobby of salmon fly-tying, a tale of obsession, and a true-crime page-turner. Always captivating, sometimes infuriating, The Feather Thief is great fun and a great read.